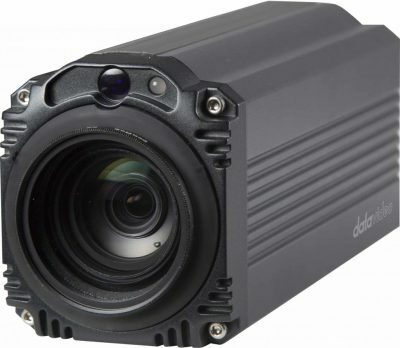 The Datavideo BC-200 Block Camera is a 4K (3840 x 2160, QFHD) 30P camera with an infrared remote control. It can be used for HD high quality filming in an indoor room. 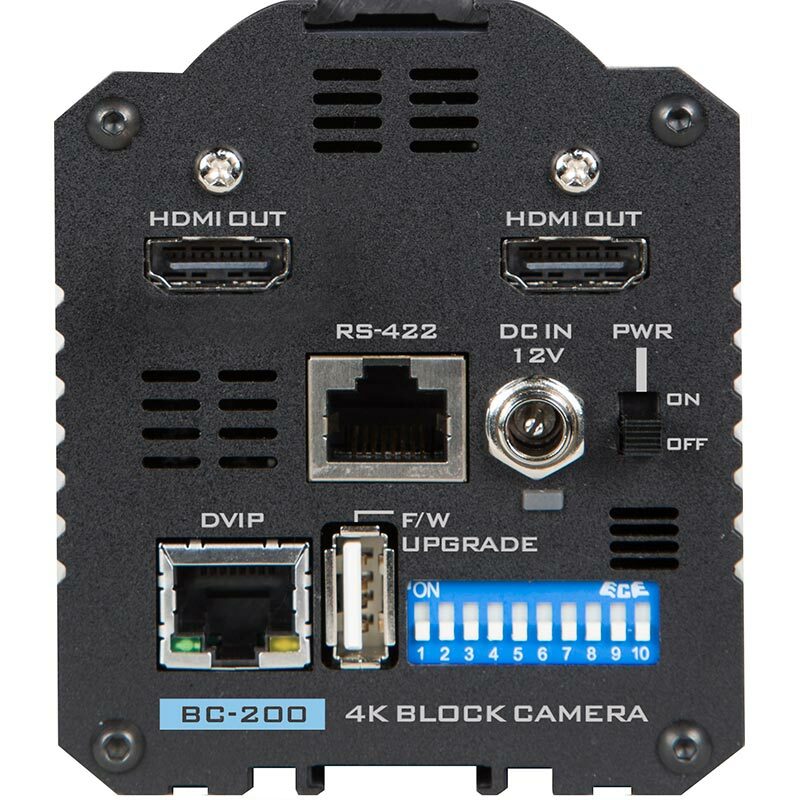 The video resolutions offered by the BC-200 are 2160p/29.97 2160p/25. The Datavideo BC-200 provides 12x optical focus and two HDMI video output interfaces. A tally light indicator is positioned above the BC-200 camera lens. The control protocol supports SONY VISCA so the camera can be controlled through the RS-422 or DVIP interface. • Video Output: 2 HDMI synchronously.